Changing What's Normal - Ian Berry's Blog: What is No BS Mentoring? When I take people on tours of my Maverick Thinkers Studio to show you what's inside I point out that my tools for discovering and sustaining remarkability and building and growing a distinguished 21st century business work brilliantly, yet only when you use them in your own way. I explain that my No BS mentoring is a key, in part because it enables pinpointed use of the resources inside my studio. This question is then often asked, What is No BS mentoring? Broadly speaking there are two types of business advisers (read consultants, mentors, coaches, trainers etc). Firstly there's those with solutions who are out looking for problems that match. These folk have models, secret steps, all kinds of pathways they believe will lead their clients to reach their promised land. I am definitely not one of these people. I'm of the second kind of adviser. I don't have any solutions for your challenges. I am very skilled and passionate however at being there for people as you walk your own path and discover your own solutions to your challenges. You'll own the solutions more of course and savour the results of implementing them. My role is to help you to be accountable as you execute. Two of my gifts (talents) are to see what most people don't and to say what most people won't. As I have enhanced these gifts over 25 years (still a work in progress) I have become very good at asking great questions at precisely the right time for you. And I have mastered (also still a work in progress) being candid and reminding, inspiring, and sometimes persuading you to be candid with yourself and other people. Being candid is the keystone to sustaining remarkability (bringing that one-of-a-kind human being that you are to everything you do). Seth Godin provides the best description of my kind of mentoring that I've be able to find. He says. Good advice is priceless. Not what you want to hear, but what you need to hear. Not imaginary, but practical. Not based on fear, but on possibility. Not designed to make you feel better, designed to make you better. Seek it out and embrace the true friends that care enough to risk sharing it. I’m not sure what takes more guts—giving it or getting it. I'm up for it. You? I promise to be the performance partner we all need for you. I'll be open, honest and frank. I'll call you out when I feel you're bullshitting yourself and anyone else. I'll be authentic, forthright, direct, straightforward and plain-speaking. I'll call a spade a spade, and sometimes a shovel. I promise to be the torchbearer for you, someone who shines the light on what's possible, and steps with you into the unknown where you'll discover what you don't know that you must do to be remarkable. 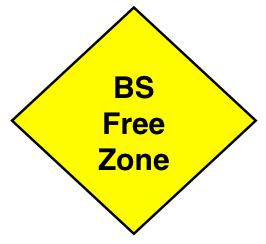 One of the consequences will be that your workplace will become a BS Free Zone. Imagine the elimination of what causes conflict, difficulty, and disagreement amongst people. Imagine a significant increase in the number of people consistently bringing their best to their work. Imagine yourself having the time and energy to do what really matters to you and to only be doing what you love in the service of people who love what you do. The next group tour of my Maverick Thinkers Studio is on at 5 pm tomorrow Saturday December 6th Australian Eastern Daylight Savings Time. To join in please email ian@ianberry.biz and I will send you the link. To arrange a private tour please telephone me on +61 418 807 898.